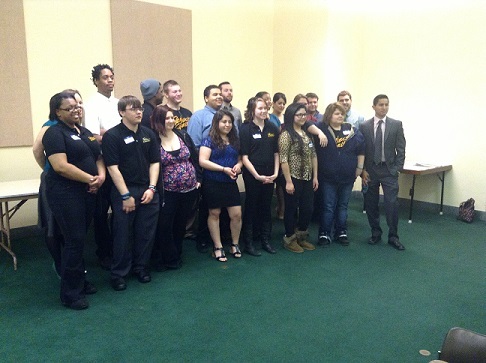 Project Everlast youth hosting a legislative luncheon at the capital. Project Everlast is a grassroots effort that promotes using community resources to improve a youth’s opportunities and networks for housing, transportation, health care. In 2007, the Nebraska Children and Families Foundation led an intensive youth-driven planning process involving more than 40 public and private partners to create The Omaha Independent Living Plan. A steering committee of Omaha youth, and representatives from the Nebraska Department of Health and Human Services, the Sherwood Foundation, the William and Ruth Scott Family Foundation and the Nebraska Children and Families Foundation, developed this dynamic, innovative plan that when launched became Project Everlast. Now a statewide program, Project Everlast has presences in Omaha, Lincoln, Norfolk, Grand Island, Kearney, Geneva, North Platte and Scottsbluff.